In an autoimmune disease like lupus, the immune system, which is designed to protect us turns against us, attacks our bodies with so-called 'friendly fire'. As Triona Holden, author of Talking About Lupus puts it, the "white blood cells that make up your personal army turn traitor, ganging up on you, working kamikaze-style against your body." Nothing is more treacherous than an army, which is designed to protect us, turning against us and destroying anything and everything that is unlucky enough to fall in its marching path. My body has betrayed me. Triona Holden adds that "lupus makes you a prisoner in your own body...it is like having a terrorist working inside you." Those of you who, like myself, have lupus or another autoimmune disorder(s), know that living with it is challenging; dealing with symptoms, taking medications, doctors, hospitals, encountering ignorance and somehow trying to live life as 'normally' as possible (lupus is my normal now). 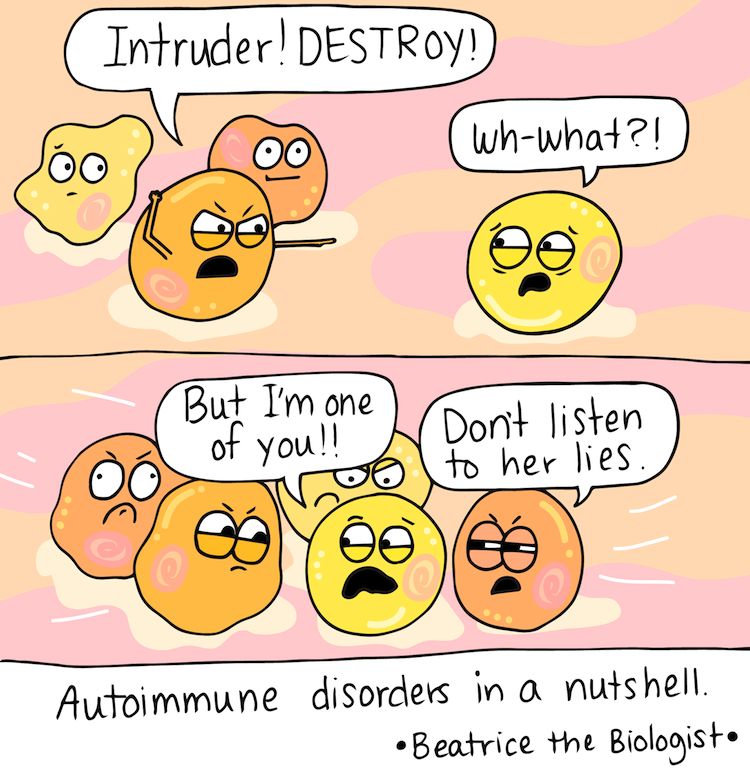 Dealing with an autoimmune disorder is full-time job. We are constantly fighting a vicious enemy that requires toxic chemicals to knock it down, the enemy is everywhere and it is there all the time. What is the name of this enemy, an invisible enemy that launches invisible attacks on my body? It is the immune system, the very thing that is designed to protect my body. A normally-functioning immune system protects our body from damaging substances - the 'baddies' - such as bugs, viruses and toxins. 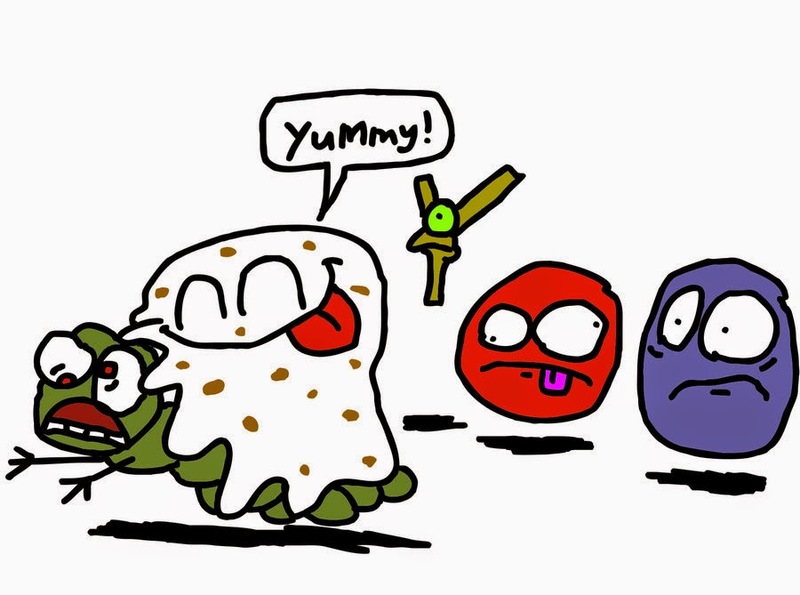 White blood cells - the 'defenders' - are used by the immune system to destroy those baddies. There are three kinds of white cell: neutrophils, lymphocytes and macrophages. Then there are the lymphocytes, of which there are two types T and B lymphocytes. So what happens in autoimmune disorders like lupus, RA and scleroderma? 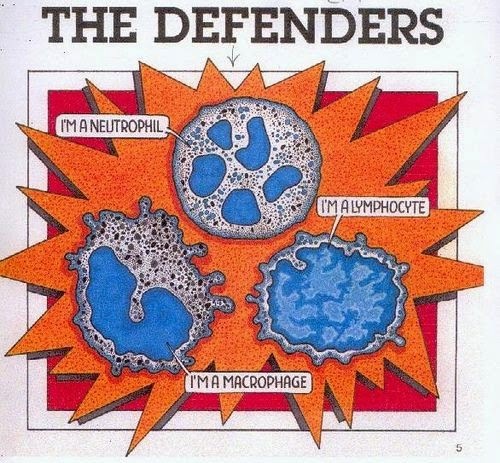 The immune system is unable to tell the difference between the good guys (healthy body tissue) and the bad guys (bacteria, toxins and other nasties). So, it mistakenly thinks that everything it encounters is a bad guy and attacks everything left, right and centre. This autoimmune attack causes inflammation and damages healthy body tissue. This can have a range of effects, the most common being joint pain and organ damage. Treatment for autoimmune disorders mainly involves nuking the body with cytotoxic ("cell-killing") drugs, which targets the immune system. By reducing the amount of white blood cells in your body, you can dampen down the inflammatory response caused by those cells. The idea is that by doing this you will reduce the autoimmune attacks on your body, which will make you feel better. However, the unfortunate thing is that the side effects of these drugs can often make you feel sicker than the illness the drugs are designed to treat. Dealing with an autoimmune disorder requires a delicate balancing act between treating the illness and having a decent quality of life. So there you have it, a basic guide to the immune system. Obviously, the immune system is far more complex than the words I have allotted to it above. I'm a second year undergraduate student of biology and the more I learn about the immune system, the more there is I need to learn about it. The immune system is a Pandora's box inside each of us - not much is known about it, but the more we try to pry open the box, the more we need to learn before we are finally able to open the box. If you are interested in learning more about the immune system and how it affects you, the links below are gateways to great sources of information. I also highly recommend Triona Holden's book Talking About Lupus, which has greatly helped me in my own quest for knowledge about lupus and the immune system.